8/4-8/19: Sat-Sun 4 PM, see website for performances, the Chicago Temple, 77 W. Washington, 312-857-1234, silkroadrising.org, $10. Silk Road Rising, under the direction of Jamil Khoury and Malik Gillani, has been a Chicago institution for amplifying Asian-American and Middle Eastern-American artistic voices since 2002. 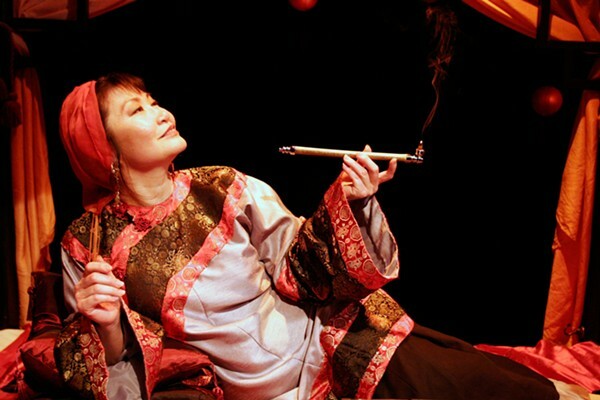 In keeping with the company's stated core values of discovery, pluralism, and empathy, the New China Festival, led by director Helen Young, will present a trio of staged readings of plays by authors from the Chinese-speaking world from August 4 through 19. "I think it is interesting to be able to work on some stuff that is clearly not rooted in an American perspective [and] to bring it to an American audience," says Carol Ann Tan, the festival dramaturg. Acclaimed playwright David Henry Hwang led a curation panel for the three selections, which vary significantly in style and theme. They areDialogue & Rebuttal by Nobel Prize winner Gao Xingjian; Speaking as Then by Ruoxin Ji, a young playwright originally from Nanjing now studying at Columbia University; and Sand on a Distant Star by Stan Lai. "We knew we wanted a Stan Lai," says Corey Pond, Silk Road Rising associate producer. "He's from Taiwan, and he's just a very big playwright there right now who's had a couple works done in America." But A Streetcar Named Desire deserves better. The local theater company introduces a new kind of arts education. "No one ever wrote a fairy tale about polyamory!"